Nike continues to reap what it sowed with the choice of Colin Kaepernick for the 30th anniversary of their “Just Do It” campaign, as the mayor of a city in Louisiana has officially banned Nike in his town. Guess the vast majority of Americans don’t like to see their country, their flag, and the brave souls in the military who defend our freedom treated like dirt by professional athletes and hailed as heroes by sportswear companies. 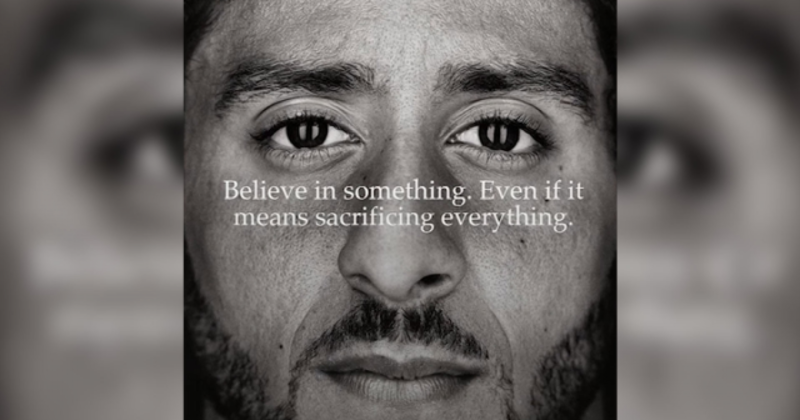 In response to Nike endorsing the man who triggered the anthem protest by declaring in 2016 that he was “not going to stand up to show pride in a flag for a country that oppresses black people and people of color,” Republican Mayor Ben Zahn of Kenner, Louisiana issued a new rule for the city’s recreational facilities: No more Nike. What’s on your Sunday menu? The Effect on the NFL Seems Small, For Now: Forty percent of consumers said Nike’s campaign does not make them more or less likely to watch/attend NFL games — 21 percent said more likely and 26 percent said less likely (14 percent didn’t know). No one has a problem with Kaepernick standing up for something he’s passionate about, that he believes is an issue that needs to be addressed. That’s the beautiful thing about living in a free country. We can voice our grievances and draw attention to serious topics that are being ignored. The problem is the way he has chosen to express himself. And on top of that, the way Nike has turned him into some sort of martyr, as if he’s sacrificed a whole lot for his cause. The man played a professional sport where he made millions of dollars, and lost that privilege after making himself such a controversial political figure. That’s totally on him. Contrast that with military members who have shed blood, lost limbs, or given their lives. It makes the whole thing look really absurd. Kaepernick is not a hero or a martyr. He’s just a disrespectful, second rate quarterback who is itching to make his living off the back of a political cause rather than making himself actually useful. President Trump Trashes Bob Woodward’s New Book. Here’s How He Responded.